Took some pictures of my son and his team. I didn't have much of a chance to get action shots unless you like piles of 4yr olds. I know I don't have much action but I could always use advice on getting better pictures as in exposure, etc. It was pretty dark. 5. Getting his shoe tied....kids. From a 'sports' perspective, I like the first one. 'Peak of action' - even if you can't see the ball leaving his foot. The rest? Meh ... just kids (if you're into that sort of thing). 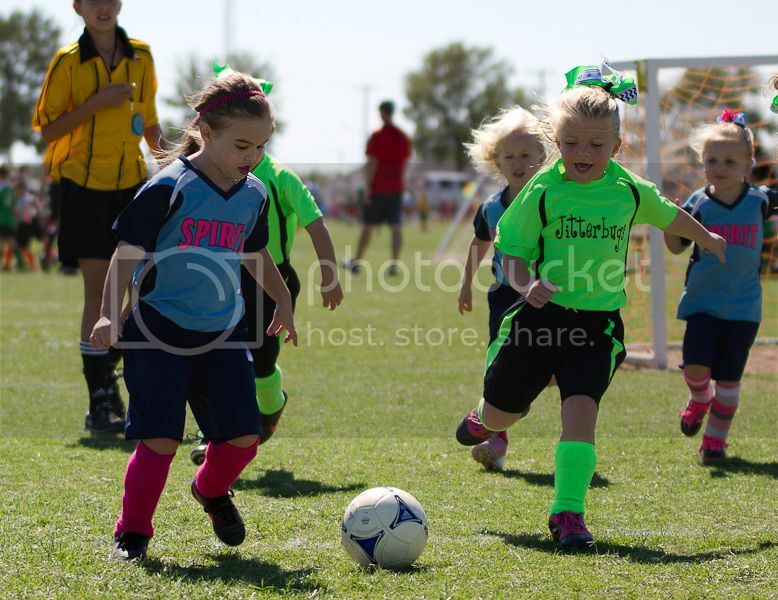 Kids and sports, just love it. Great series and I love catching kids expressions like that, very nice job. #5 Is priceless.. it looks like an injury on the field... look at the kid with his hand over his face..
A couple more pics with better light, if you're into that kind of thing. Fantastic shots. Watching kids that size/age playing sports is always fun. Great set and I am into those kinds of things! 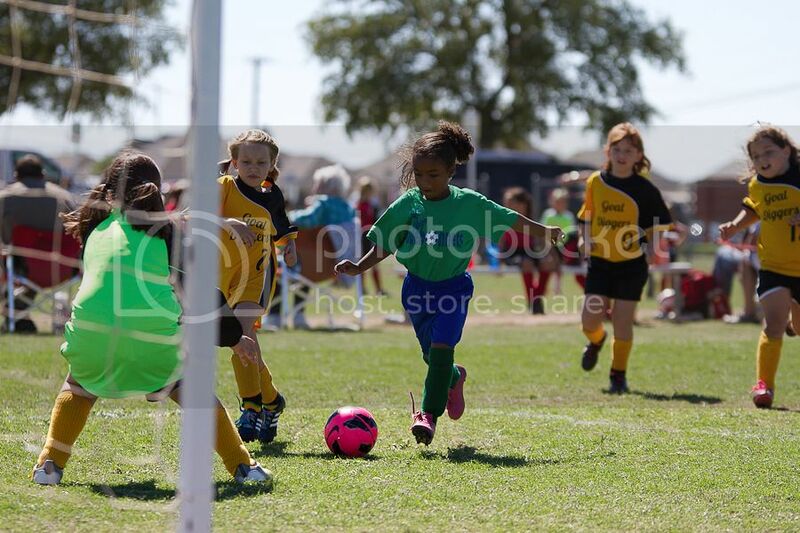 I have four teen daughters and have thousands of photos of them playing sports. Enjoy and have fun looking back! Great for 4 year olds. My only nit would be the white-balance in the first set appears off; a fix in post should be easily done. Otherwise, a great set. 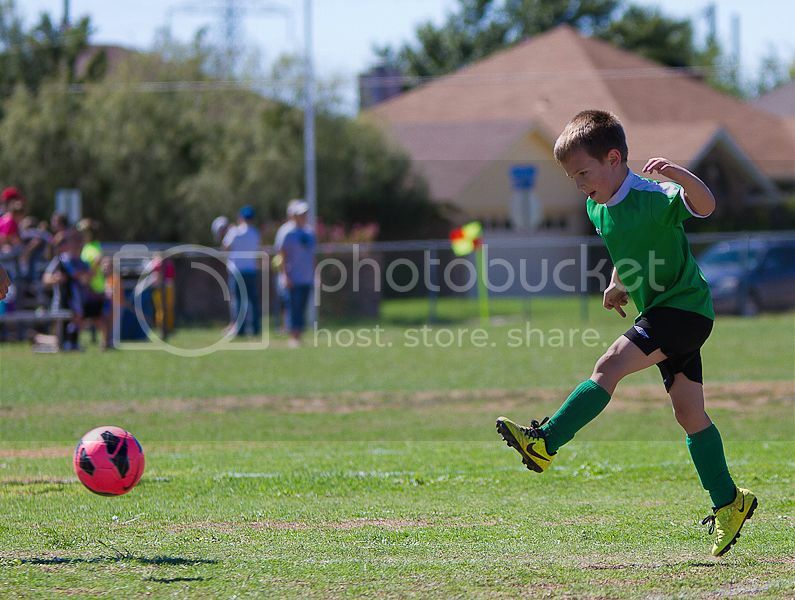 Love seeing sports photos at this age! Just shot a couple at the little field, they are pretty fun. #8 needs a horizon adjustment but otherwise, its a fantastic shot. natural leading line with the players lined up and your subject right on a rule of thirds line. sharp, well exposed, action, face, ball...its got everything you'd want. Here are some 8x10s I made for the team. I was limited on the shots I could use because I had to help coach also. Some are just multiples of shots above. Thanks for looking and posting your own shots. They're fun to look at. I really like the 8x10's and the inset pics. Good work.